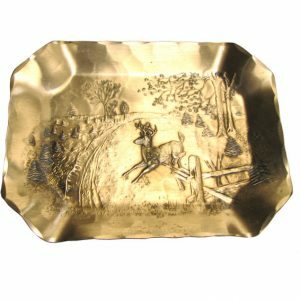 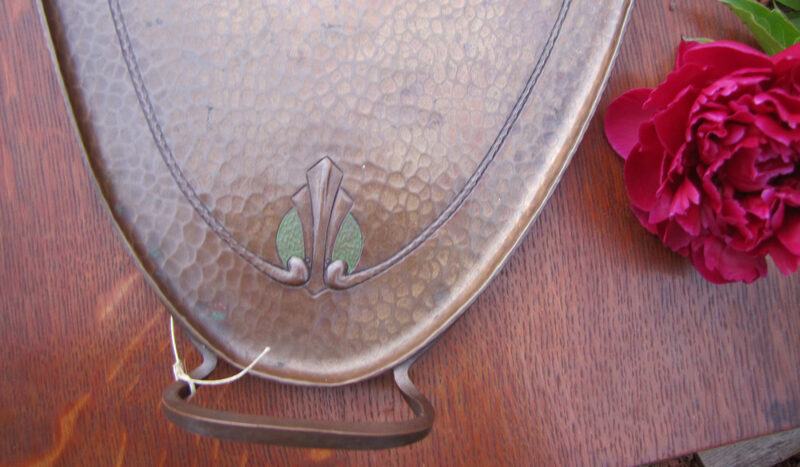 Home » Shop » Antique Furniture » Roycroft » Superb Antique Roycroft Tray W3261? 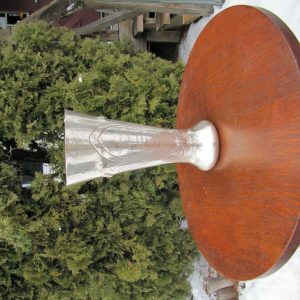 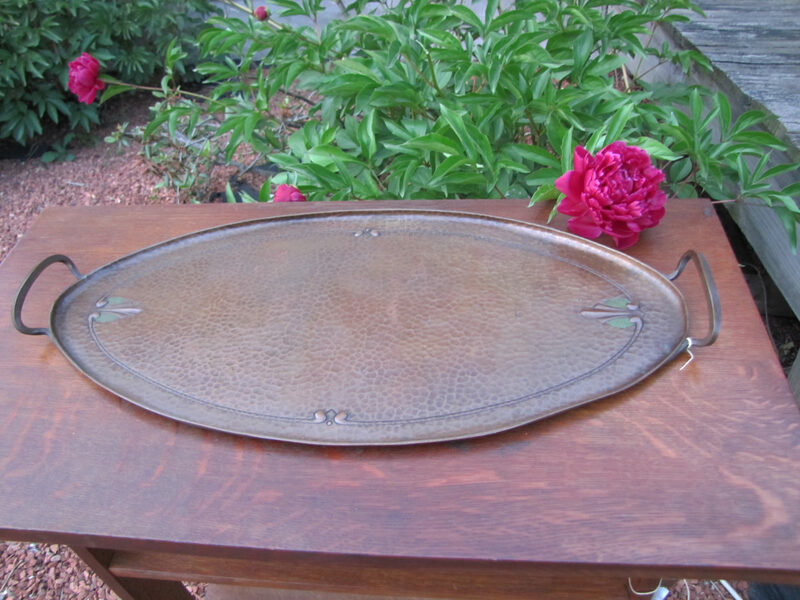 Superb Antique Roycroft Tray W3261? 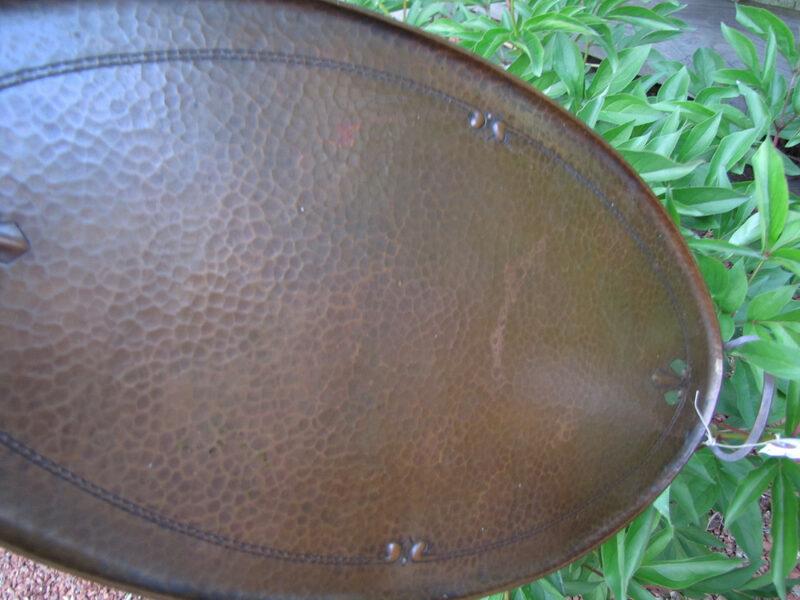 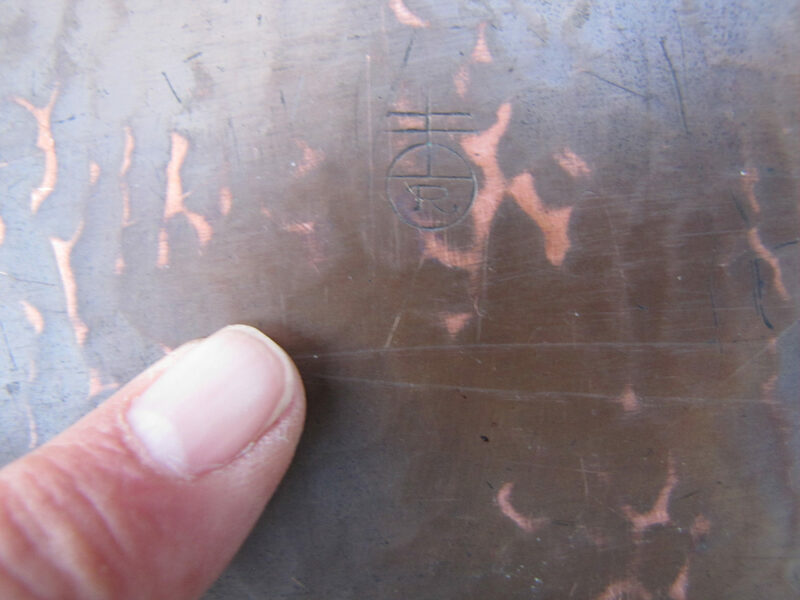 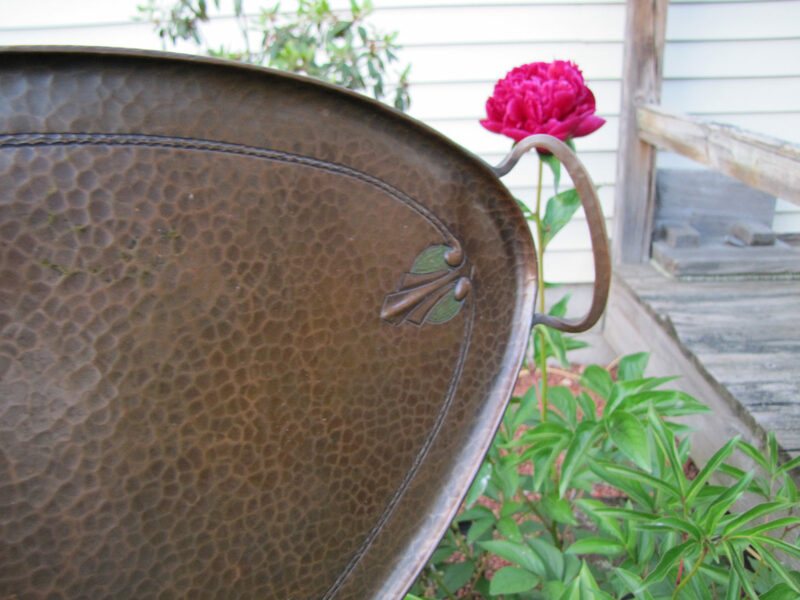 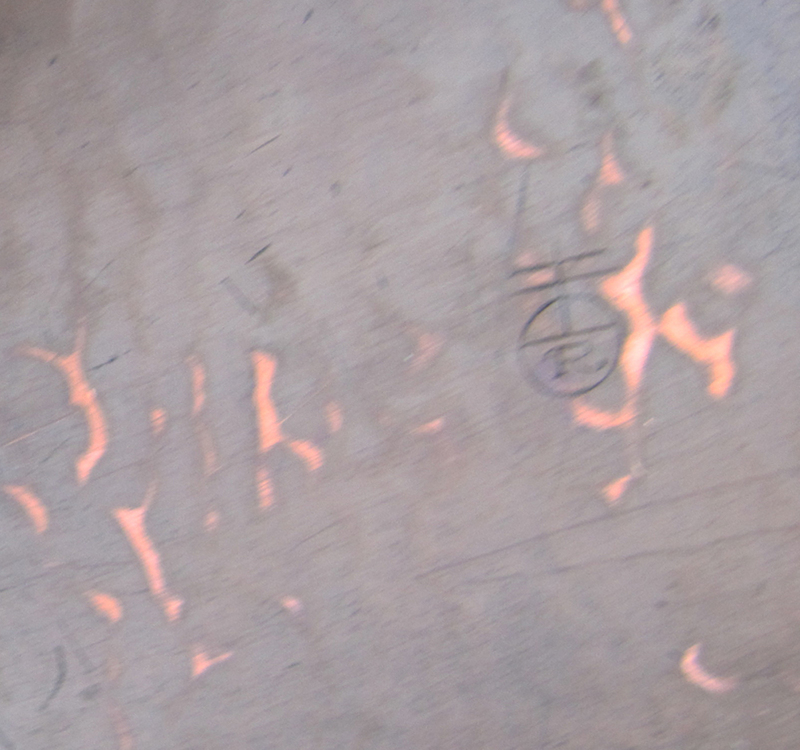 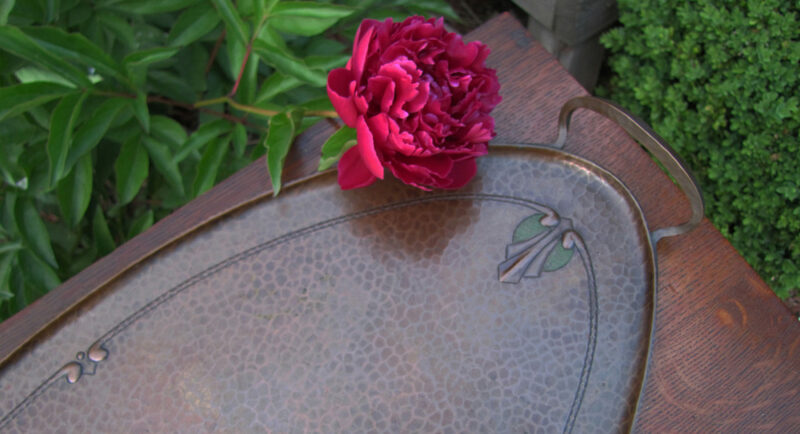 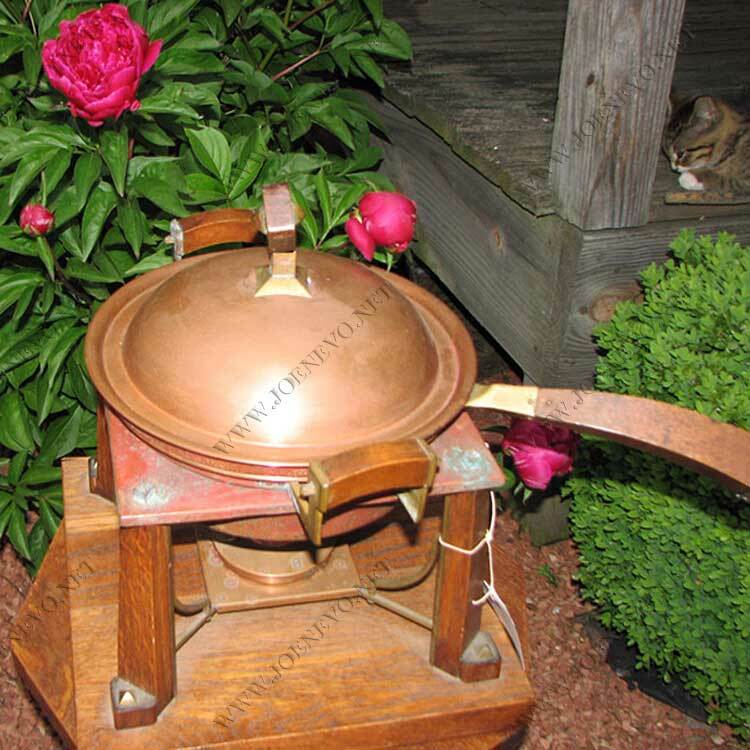 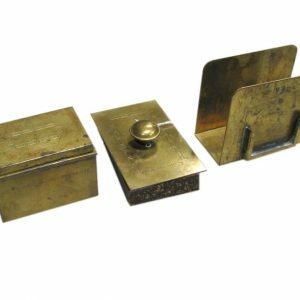 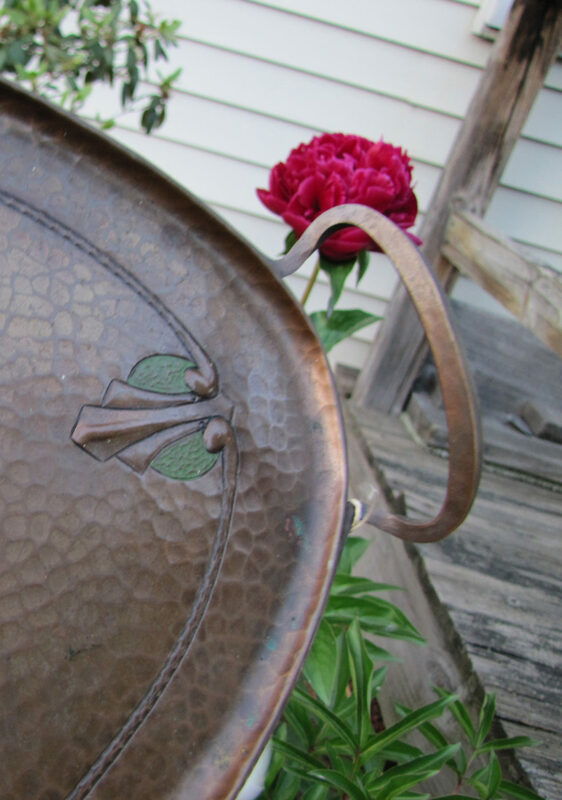 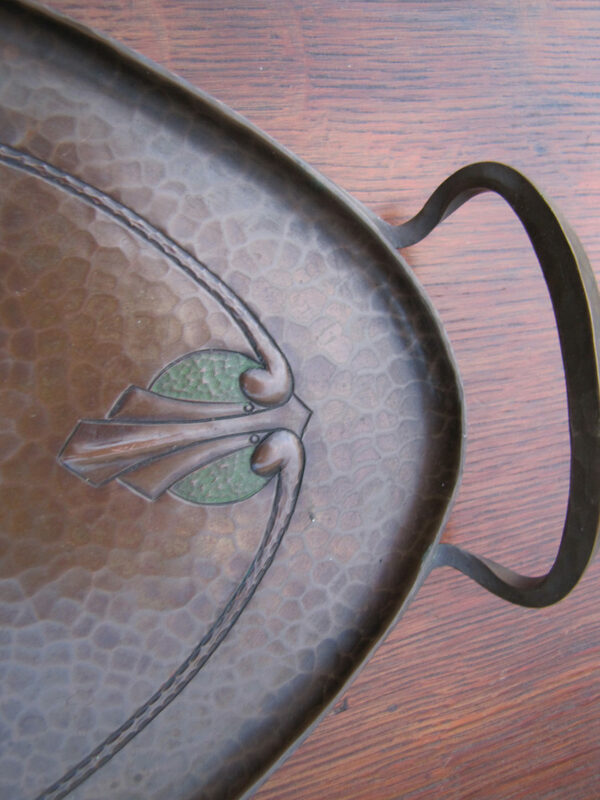 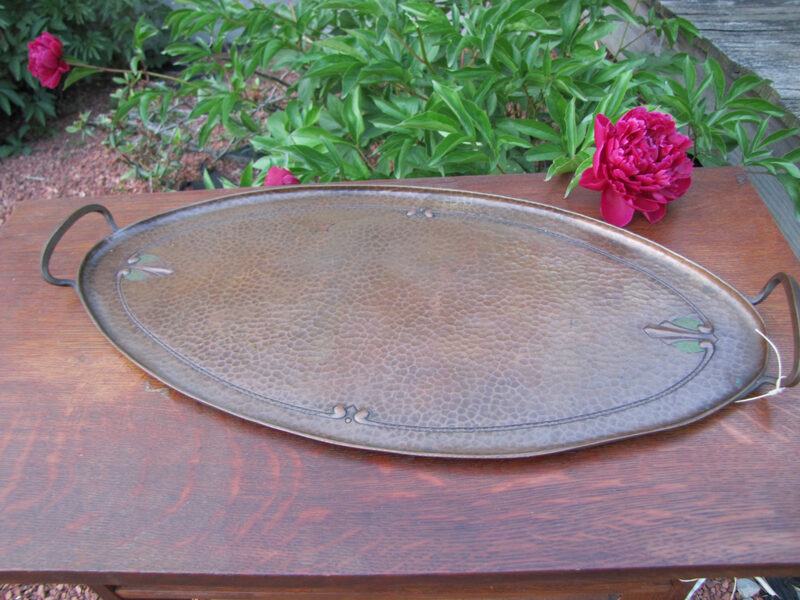 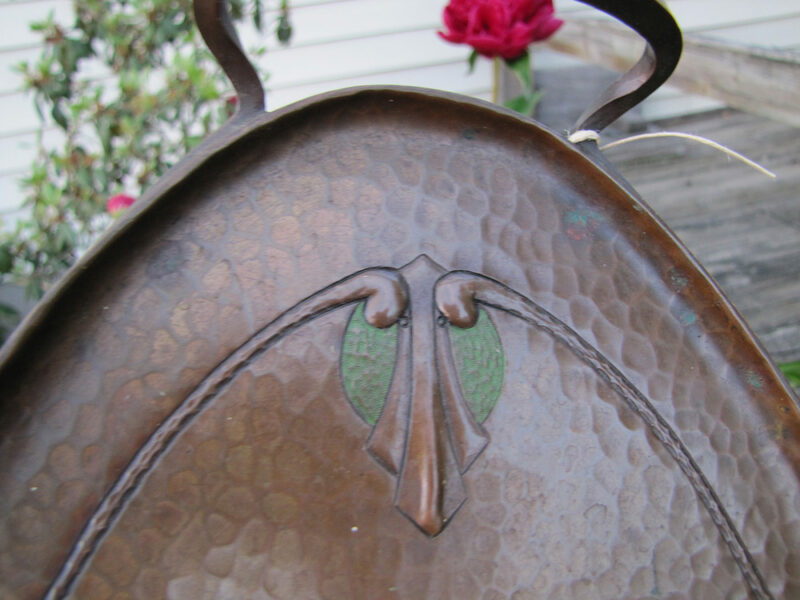 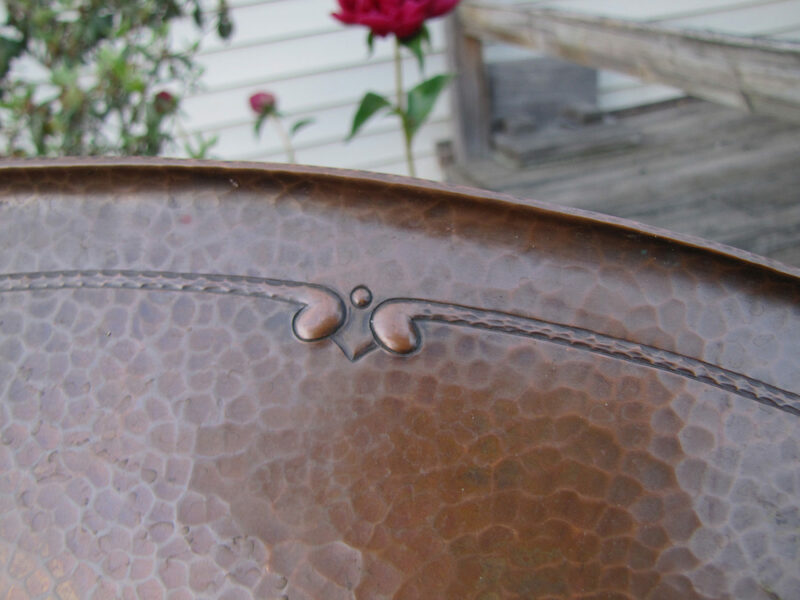 This is a great Roycroft tray arts&crafts era from early 1900's in excellent condition, hammered copper with no bend or nicks with two?color design with great warm patina. 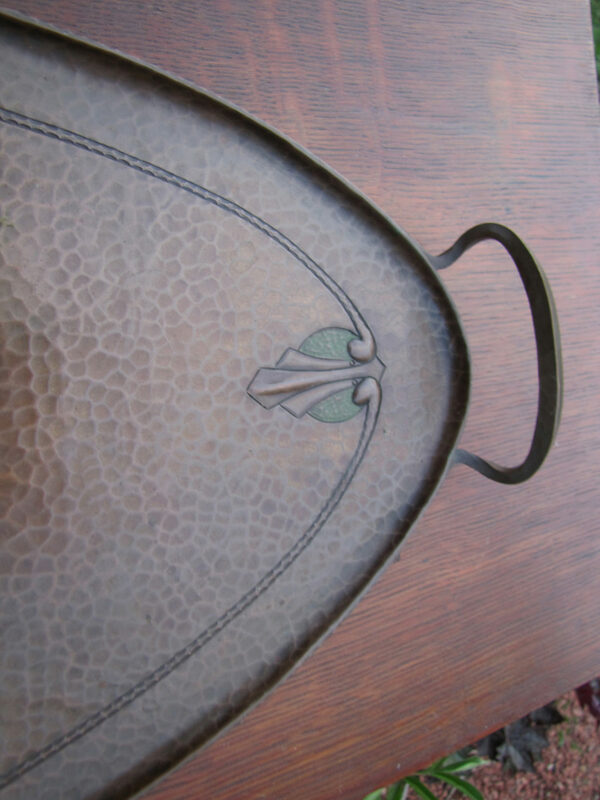 This is the large size (Roycroft made also smaller tray), we do have a pair to this tray.